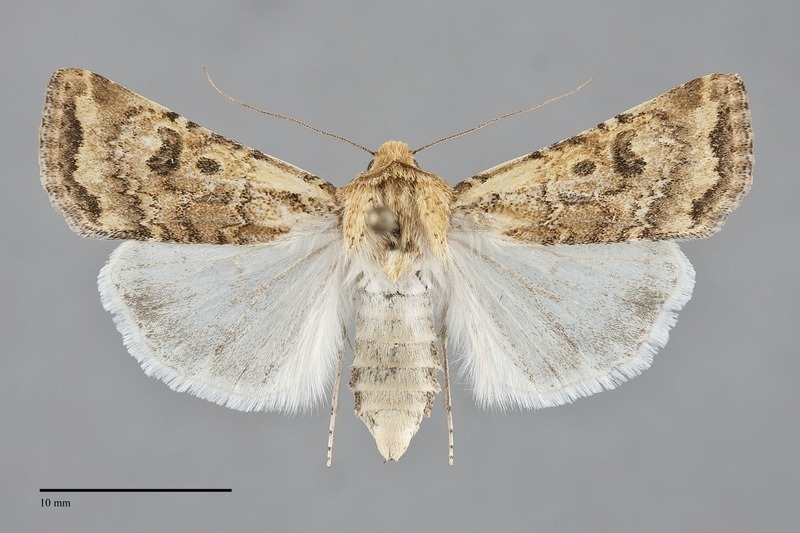 Euxoa citricolor is an attractive light yellow to mottled lemon yellow medium-sized moth (FW length 14–17 mm) with dark-filled forewing spots and terminal area and a white hindwing that flies in dry dunes and badlands during the fall. The forewing color varies from nearly even light yellow to dark yellow mottled with gray-brown, lightly to moderately peppered with dark scales. The terminal area is darker light to dark gray. The lines are absent or extremely faint in light specimens and powdery dark gray, partially double and filled with the ground color, in dark ones. The antemedial line is slanted slightly toward the outer margin and is irregular, especially near the posterior margin. The median line is usually absent or faint, powdery dark gray in dark specimens, bent at the reniform spot. The postmedial line is evenly scalloped when visible, most often with stronger inner component and absent to equally strong outer component, broadly excurved around the reniform spot and angled toward the base near the posterior margin. The subterminal line is slightly paler yellow than the ground, most evident as the medial border of the gray terminal area. The terminal line is absent or a series of dark gray spots. The orbicular and reniform spots are outlined in pale yellow and filled with powdery dark gray to brown-gray. The orbicular spot is round to elongate teardrop-shaped. The reniform spot is kidney-shaped or weakly figure-eight-shaped, sometimes with a spike-like extension toward the base from the posteriomedial corner. A narrow gray claviform spot is present in some specimens. 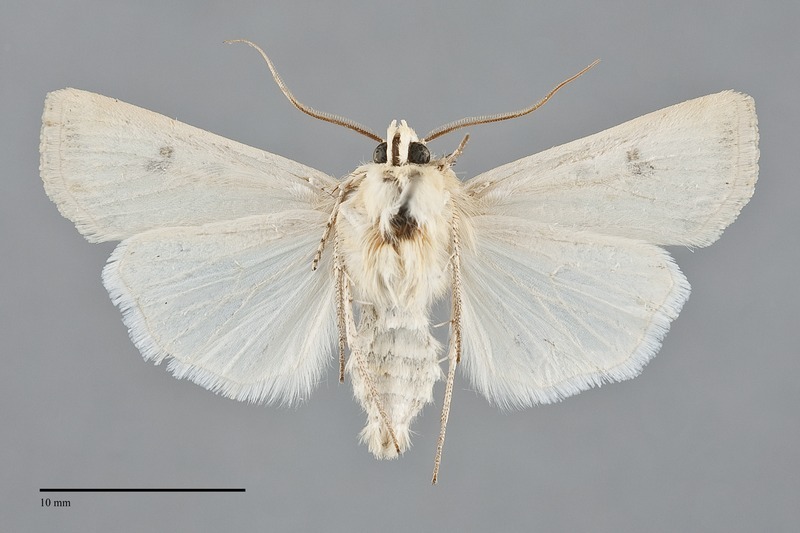 The hindwing is pure white, suffused with gray near the margin in some dark females. The head and thorax match the forewing color. The male antenna is biserrate. Euxoa citricolor is placed in the speciose subgenus Euxoa. This moth is usually identified easily from other fall-flying species by its yellow forewing with gray terminal area and filling of the spots in combination with a white hindwing. Very pale specimens could be confused with Euxoa tronellus with which it flies. 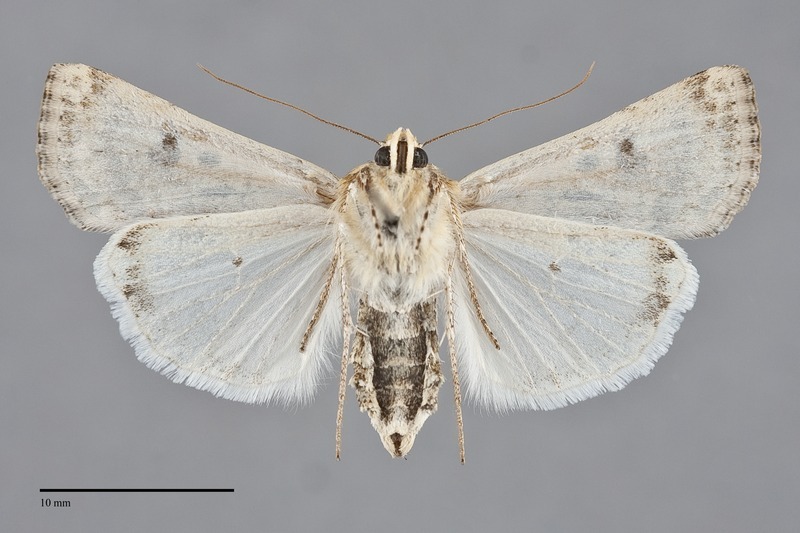 The forewing color of E. citricolor is yellow, even in pale specimens, whereas that of E. tronellus is cream or pale buff. 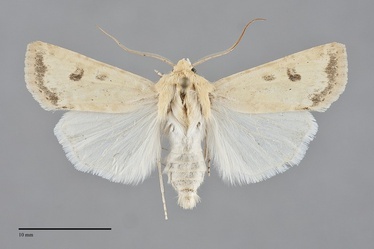 Other yellow moths from similar habitats, particularly members of the genus Copablepharon, lack well-defined forewing lines and spots. Euxoa citricolor is widely distributed on eroded dry short-grass prairie on the Great Plains and on barren rangelands west of the Rocky Mountains. In the Pacific Northwest, it is most common on barren low-elevation rangelands. It is most often found on alkali flats with saltbrush (Atriplex spp.) that are wet in the spring or at the edges of wetlands such as marshes or riparian zones, in eroded badlands, and in habitats with bare sandy soil. It is usually not found in dry upland sagebrush steppe. Euxoa citricolor is found in the dry interior of Washington and Oregon and in southern Idaho. The northern limit of its range is the central Columbia Basin near Vantage and Ritzville, Washington. This species is predominantly found in the Great Basin region of western North America, but also occurs on the Great Plains. South of the Pacific Northwest the range extends east to the central parts of Wyoming, Colorado, and New Mexico and south to southern California. It is found in badlands in southern Alberta and the Dakotas. Adults are on the wing in the fall, slightly earlier than the latest steppe Euxoa species. Records from our region are from late August through September. They are nocturnal and come to lights.